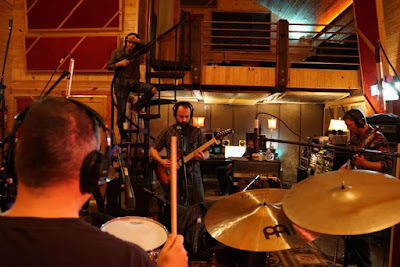 Where segment 1 outlined the band’s pre-production process in Frederick, MD, the follow-up sees Clutch document the recording process as they move to Austin, TX to work with producer Machine at his Machine Shop studio. Due October 2, the Maryland group’s follow-up to 2013’s “Earth Rocker” will be issued via their own Weathermaker Music label. Clutch will play two US east coast shows in Maryland and New Jersey this weekend in advance of the launch of a US tour in Fort Lauderdale, FL on October 3.